Join the Subjectified update list! We don’t spam. Having your period at work. Ladies (of a certain reproductive status), you know what I’m talking about. This is not something that gets much airtime. Why? Remember that one time that a pad advertisement used the color red? That was, apparently, a big deal. Periods, we’re told, freak people out. Men are obviously not going to bring it up. And most often women don’t want to air our dirty laundry, so to speak, because we’re concerned with affirming our professionalism, legitimately scared that we’ll be barked out of the working world if we ask for reasonable accommodation (by way of insisting that we have a right to be treated fairly). It’s tantamount to saying that being a menstruating woman is a disability. Maybe it is, depending on how your define disability. Angela, my outreach intern, came into work one day looking tired and down. I asked her what was wrong. She told me that she had her period and felt gross. It was as uncomplicated as possible, like it ought to be: a simple exchange, followed by some compassion and some problem-solving so that we could find a way to make the workday more tolerable and effective, given her low-energy state. That’s really all it took, because I’m lucky enough to have the flexibility to set the pace in my workday. I know people who get such bad cramps that they throw up. I honestly don’t know what they do (especially without sick days). I have friends who, as a rule and except in dire work circumstances, don’t even leave their apartments on the first day of their periods. If I’d been a male boss (or a competitive and unsympathetic woman), Angela never would have told me what was up, and I would have wound up frustrated by her performance. Sure, I would prefer for everyone to be 100% productive all the time, myself included, but that is not anybody’s reality, and Angela has lots of gifts that I’m grateful for (some of them that might actually come from her being a woman). It’s hard to define what productivity even means. Should we all be buzzing around every day at the same frenetic wavelength, in the same mood? This does not sound desirable. There are moods when I’m better at writing, or better at working on spreadsheets, or organizing things, or being creative, and all of these tasks are required for my work. Thank God I’m not always in the same mood. Most women can pop a pill and pretend the cramps aren’t happening, but at least for me, my body tells me to SLOW WAY DOWN when I get my period, and I will regret it 99% of the time if I blow that signal off. But I’m super lucky because I have control over my schedule as well as a cycle that’s always been predictable. Very few people have either of those strokes of luck. How much better would it be if we could just work at our actual physical capacity without feeling guilty about it (or trying to hide that reality from other people)? Freshman year in high school, I was desperate to get out of required sports practice, for no other reason than my hating it. Cramps were an excuse you could manufacture every now and again (not necessarily during your period), as long as you weren’t stupid enough to claim it more than once a month. I had a woman coach who told us to buck up and that running makes them go away (not my experience). I remember one 30-something male coach yelling over at me to pick up the pace. “I have cramps! Can’t I just leave?” I asked, mostly because I knew this would make him uncomfortable enough to get me out of playing, the manipulative jerk I was at 14. “OK,” he said, fumbling for some way to diffuse the awkwardness. “Well, at least you’re not pregnant!” He fumbled. I was put in my place, and knew better than to blame him for my own embarrassment (although he probably could have gotten fired for saying that). This does not illustrate any of the best parts of human nature. And maybe that’s what people are worried about when they’d prefer women to feel shamed into minimizing our experiences–a fear that excuses will take us over and we’ll revert to our natural lazy and gossip-addled state. But when you have a job where you want to contribute and want to find ways to become productive, this is not a concern. Let’s stop assuming that the normal state of people who face any challenge is to weasel our ways out of being contributing members of society. 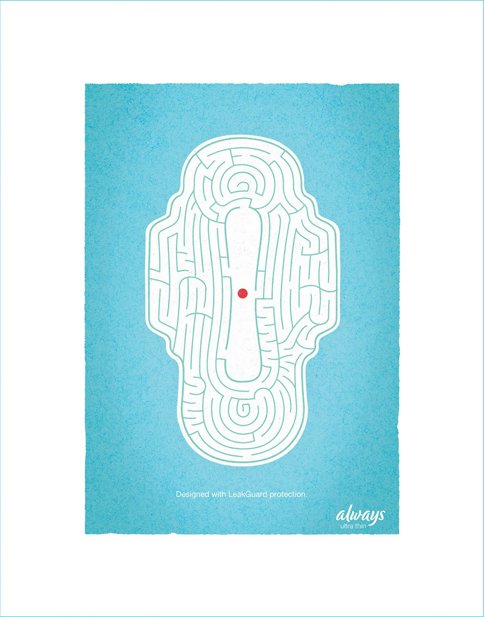 Women who have menstrual cycles know what it means to live on a calendar, to have times when we’re predictably sad, or energized, or aroused, or focused, and to be helpfully reminded that our minds and bodies are thoroughly interdependent. It’s not that men’s minds and bodies are any less intertwined, for sure, but they aren’t forced to learn that lesson every month, to be reminded that you aren’t what you think, you aren’t what you’re feeling right now, and you can choose to do what you want to do with those thoughts or emotions. I recently grimaced my way through the (longest and?) most popular article in the history of the Atlantic, “Why Women Still Can’t Have It All,” which masterfully untangles at length many of the American workplace standards that are, frankly, unfair to mothers. But we’re impacted way beyond just motherhood. Our reproductive status impacts us throughout our life cycles: in employment, living situations, federal benefits, and health insurance, to name a few. We’re impacted at work and in the street while treated as objects of desire (or scorn), we’re impacted economically when we do or don’t become partnered, or mothers, or if we’re breastfeeding, and we’re unless we’re always pregnant like Michelle Duggar (or dealing with health situations that we’re also not encouraged to acknowledge at work), so many of us are impacted every month by a leaky, gooey mess, accompanied by cramps, nausea, headaches, downtown aches, the expense of pads or tampons, and yes, sometimes irritability. I’m good at a lot of things and not that good at a lot of others. But like most adults, I’ve learned to work around the things that are hard for me. Sometimes that requires ignoring my body and taking a painkiller when my period comes, but other times it means getting rest so that by the second day, I have enough energy to be productive. Sometimes it means taking the opportunity to have an argument with my spouse that I’m usually in the mood to let fester (the hidden upside of “PMS”), and sometimes it means putting away my eagerness to pick an irrational fight that I’ll definitely regret later on. If we really believe that women make valuable contributions in the workforce and society, we can’t be expected to abuse our bodies to fit them into a schedule that ignores what’s physically and emotionally healthy. We can pretend that periods, or morning sickness, or “mommy brain,“ or breastfeeding, or our home lives don’t exist, but is that actually a successful strategy for getting us paid or treated equitably? I hope I don’t scare off any future employers by posting this. They might be grossed out by periods, too. But I feel confident knowing that I do good work, my body helps me stay alive to do that work (among other things), and shutting up about what really affects us doesn’t help. That’s why I made my documentary, because I honestly believe that shutting up doesn’t help.